1 single room, 1 Twin Room and 1 Double Room for all dates in 2014 with Flash Deal - Discount 50 % of the room rate for Hostel World Only . 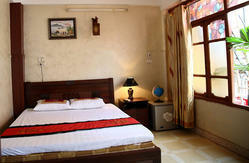 You can find Double Room and the Twin room, which are the rooms for this Discount. The price on Hostelworld has been after discount. 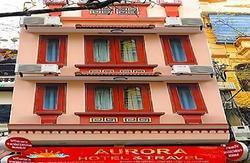 You can find Double Room and the Twin room, which are the rooms for this Discount. The price on Hostelworld has been after discount. New Vision Hotel,Hanoi offers its guests a lot of choices which are perfectly designed to make your stay comfortable. The hotel restaurant serves traditional and other international dishes. You should also try local specialties which would satisfy your appetite. You will be provided with complimentary buffet breakfast in New Vision hotel. The patrons visiting the bar have a wide range of options. Finest alcoholic beverages as well as drink are always ready to serve you. New Vision hotel owns a team of trained personnel who are appointed to cater to the needs of the guests. There are various other services to facilitate the guests. 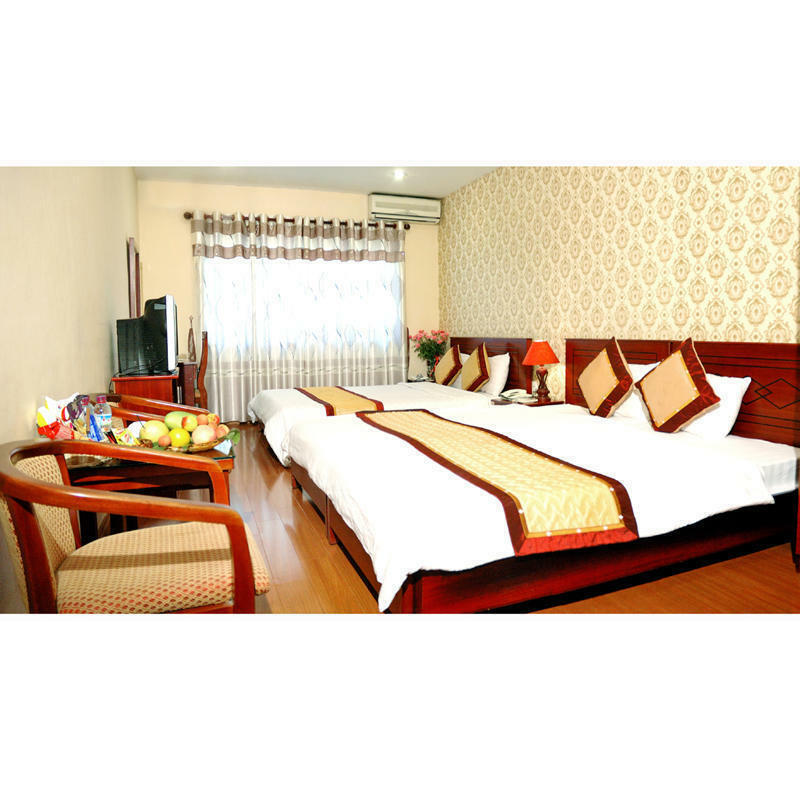 All these facilities make the New Vision Hotel, Hanoi one of the popular hotels in the locality which lures the tourists with its splendid hospitality, friendly and excellent services. The hotel is near Hoan Kiem lake (Sword lake) - the heart of Hanoi capital. From the hotel to the lake you just take 5 munites. When you arrive Hanoi from train station or airport its easy to recognize our hotel. From the train station to our hotel just 15munites walk and 5 munites by taxi , the airport to our hotel about 45 munites by taxi. So, You should take the taxi, publish bus or airport taxi to us. When you call taxi you should call Noi Bai airport taxi ( tel: 04 3 886 8888), Viet Thanh taxi (04 3 5636666), Mai Linh taxi (04 3 8 616161), from Hoan Kiem lake you follow Luong Van Can St. and turn left you can see the Hang Bo St. You can find the New Vision Hotel located in 68 C - 70 Hang Bo Street , Hoan Kiem Distric , Ha Noi Capital , Viet Nam .